Appointment set of cartridges Atoll №203: pre-treatment of water for the protection and efficient operation of the membrane element and a reverse osmosis system as a whole Atoll. Prefilter 1 - porous polypropylene cartridge. Removes mechanical impurities larger than 5 microns, holds the particles of sand, rust and other suspended contaminants. Extends the life of the remaining cartridges. Particulate Filter 2 - high quality cartridge from granular activated carbon. It removes chlorine and organochlorine compounds, protecting the osmotic membrane. Prefilter 3 - cartridge from a pressed activated carbon. It removes impurities larger than 10 microns in size. Designed for sorption of water purification from free chlorine, organic compounds, improve the organoleptic properties of water. The degree of purification depends on the quality of the incoming water and can be changed during operation. The key to long-term and efficient operation of the membrane element and a reverse osmosis system is the regular and timely replacement cartridge pre-filter. Failure to replace the cartridges can reduce the life of the membrane, and even to its destruction. To avoid such situations, it is strongly recommended to replace the cartridge pre-filter every 3 months. 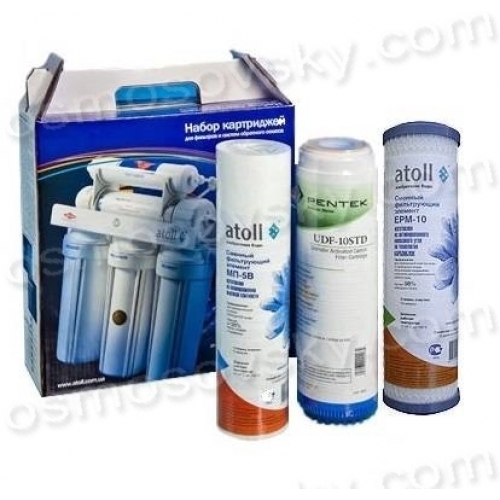 Set Atoll №203 suitable for standard reverse osmosis filters of other manufacturers. 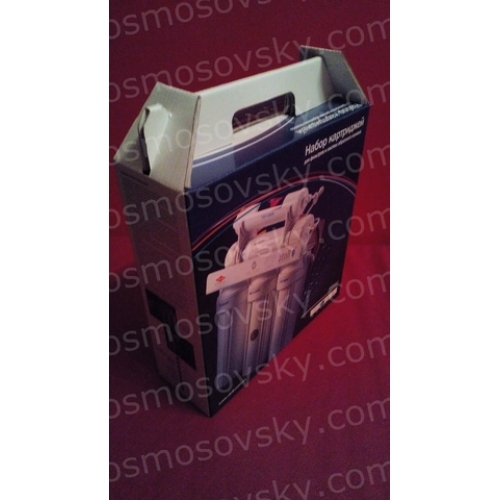 Buy a set of reverse osmosis cartridges Atoll №203 you can place your order on our website or contact us in any convenient way for you.